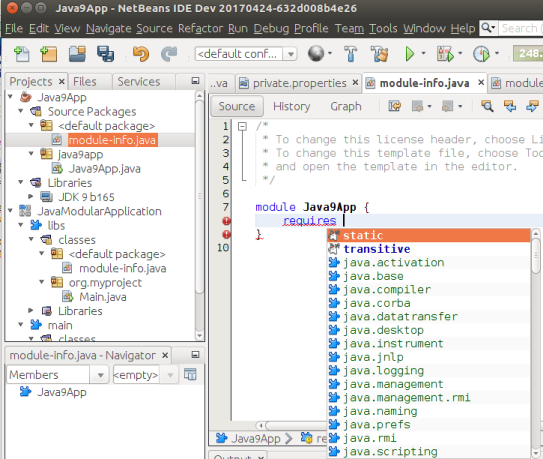 Apache NetBeans 9.0 is the first release of the Apache NetBeans IDE. IP clearance of the Oracle code donation. Java 9 and 10 Support. New Hint to convert explicit variable type to ‘var’. New Error hint to split compound ‘var’ declaration. 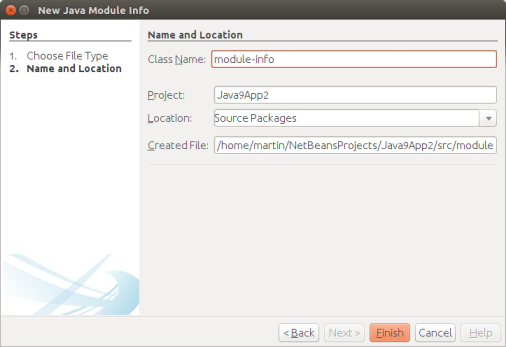 The standard NetBeans Java SE Project Type (Ant-based) can be a single JDK 9 module simply by adding a module-info.java file into the default package. 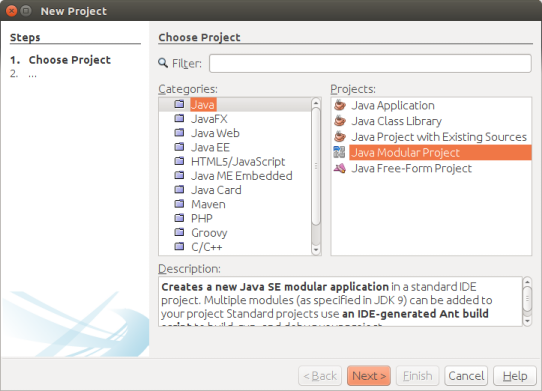 We have added a new Java Modular project type. 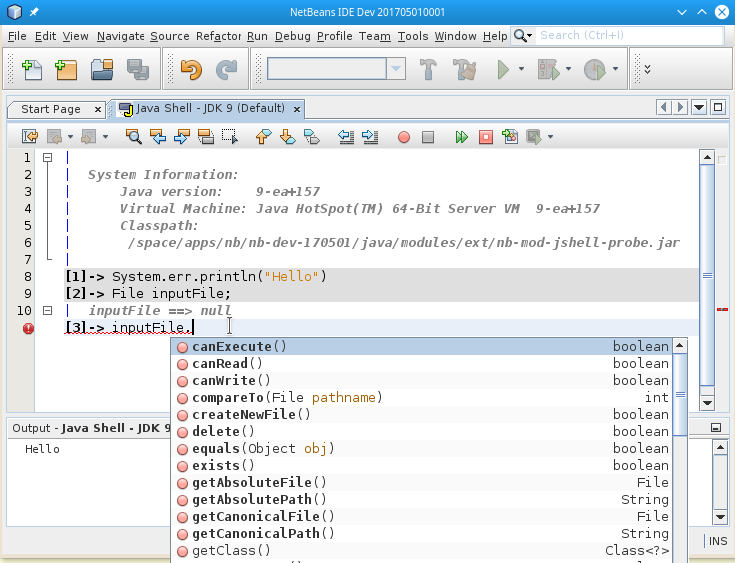 This allows developing several JDK9 modules in one NetBeans project (Ant-based). The advantage of this project type over several Java SE projects (each containing one module) is that dependencies are simply managed by declaring appropriate andexportsrequires in,module-info.java and all modules in the project will be compiled at once. 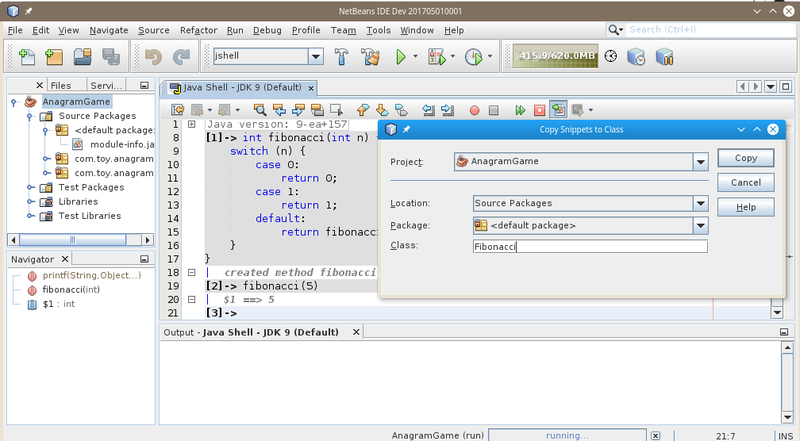 NetBeans provides integrated console-like UI for the Java Shell, leveraging NetBeans editor capabilities. Also, NetBeans greatly extends the capabilities of the command line tool. 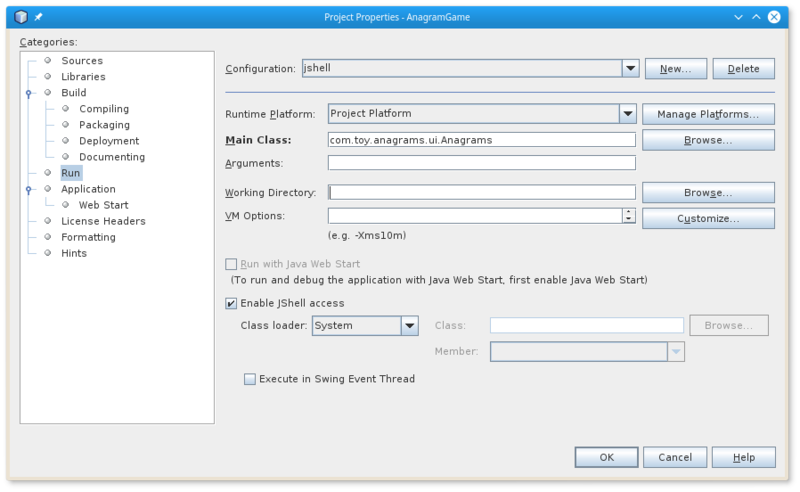 NetBeans can execute the shell as an agent, similar to a debugging agent, on the debugged or run the application (currently only J2SE applications are supported, both Ant and Maven-based).